My favorite spot in Chicago is the Chicago Riverwalk. Ahh love the Chicago Riverwalk! It is for sure one of my favorite spots during the Summer. I honestly think it is one of the most scenic places in Chicago. You get an incredible view of Chicago’s skyline and architecture along the path. It’s unfortunate that I can only take advantage of the Riverwalk during the summer and early Fall. I have zero tolerance for cold weather (Yet, I still think Chicago is the best place ever – born & raised!). Chicago summers are the best and everything comes alive and everyone is in a good mood! I think us Chicagoans have a strong appreciation for the summers because we also experience polar opposite temperatures e.g. below freezing temperatures. So we take advantage of the warm and extremely hot temperatures (still embracing it!). By the way, the architectural boat tour along the Chicago river is excellent and if you are visiting, I highly recommend it! Another great way to see the city and you get to see the Chicago Riverwalk path on this tour. I lived in Chicago all my life and I still enjoy the architectural boat tour. It never gets old. Perfect time to go is right before sunset! Scenic view. I mentioned above that the view is just beautiful. If you walk along the path, you really get a good sense of Chicago’s beautiful architecture and skyline. Restaurants. There are restaurants along the riverwalk. So you can dine and enjoy the view. Most have incredible outdoor seating. Here is a list of restaurants along the riverwalk. City Winery is one of the most popular spots. Amazing running path. It is a great place to go for a run! When you have a great view during your run, it makes running a tad bit easier. The Chicago Riverwalk and the Lakefront are my favorite places to go running. Pop-up shops and festivals. Occasionally there are pop-up shops and festivals along the riverwalk. It’s so exciting to see what is going on during the summer. Best spot to just sit and relax. Sometimes I just love sitting outside and the riverwalk is the best spot for that! This summer, it is my goal to go on the Chicago Riverwalk more often. In the past, my job was never near it so sadly I couldn’t even walk on the path unless it was during the weekend or occasionally after work. I instantly fell in love with this striped dress when I was at Zara during our time in Madrid. The red stripes were a great change of pace from my usual blue stripes for the summer. I love its midi-length and my favorite feature, the tie-knot. I don’t know why, but lately I’ve been really into outfits with tie-knots. The dress fits true to size (I am wearing a small) and the fabric is breathable. I also think this dress makes a great 4th of July outfit. 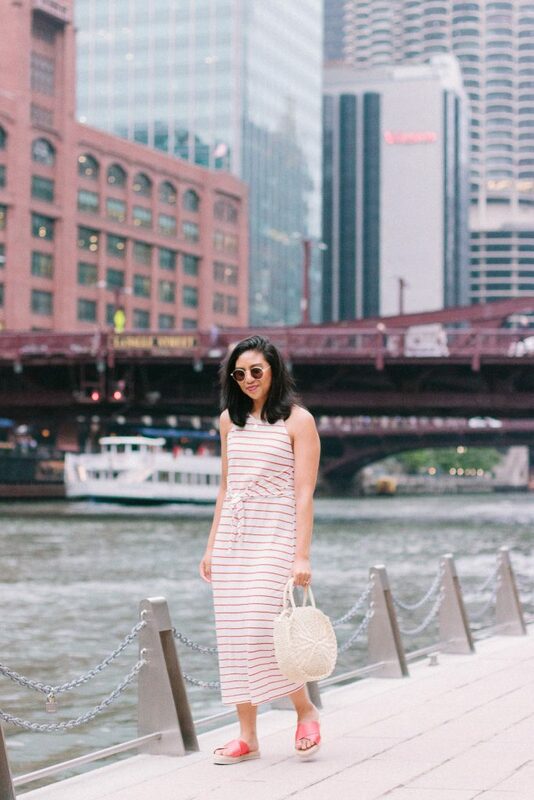 Sadly, I couldn’t locate this dress on the Zara website, however, I was able to locate my other favorite red striped dresses. 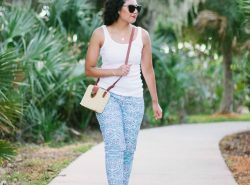 When it comes to sandals, I usually go for neutral and basic colors. So picking out a pair of red espadrilles sandals was out of my comfort zone. Even the satin-like fabric of the straps is something I would not normally pick out. To my surprise, I actually enjoyed the pop of color. I really like that it made the red stripes on my dress stand out more. They also fit true to size. I wear a 7.5 and these fit perfectly! 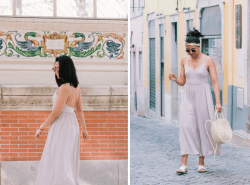 As much as I ended up loving the pop of color from these sandals, I would say they are not great if you plan on walking around with them a lot. As you know, Chicago is a walking city and I was not pleased when I noticed that the sandals scratched the top of my foot and it became uncomfortable. I think if I was only walking a few times here and there, it would be fine. But these sandals are not made for the city. So I was not pleased about that. I usually don’t have any issues with JustFab shoes. 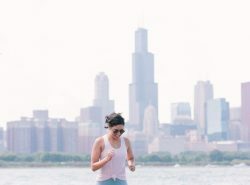 Do you guys have a favorite spot in Chicago? If so, where? I love the Chicago River Walk too! Cute dress! Isn’t it the best! Thanks Sam! Such a pretty dress! I have always wanted to come to Chicago for the summer! I have never visited Chicago but just told my husband recently that I want to! Adore your cute striped dress! You should totally come visit! I have only visited Chicago once that was in February. So needless to say I FROZE!! I would love to visit during the summer. 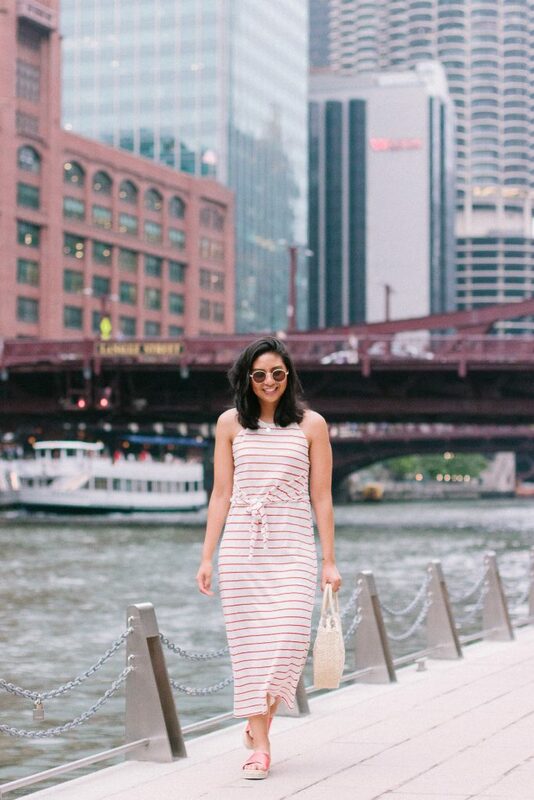 Also love your red striped dress…definitely a great option for the 4th. Thanks for sharing. OMG February is the worst time to come to Chicago! Hopefully you can make it out in the summer! I’ve never been to Chicago, but I’m dying to go! Love the Riverwalk too and you look SO cute, Rach! Welcome home! Spain looked amazing! Isn’t it one of the prettiest places! This is a beautiful spot and you look so cute! First off, I love this dress! I’ve never been to Chicago but have always wanted to! The riverwalk looks so lovely. I hope you can make it out to Chicago one day! I love your summer dress. You styled it perfectly! 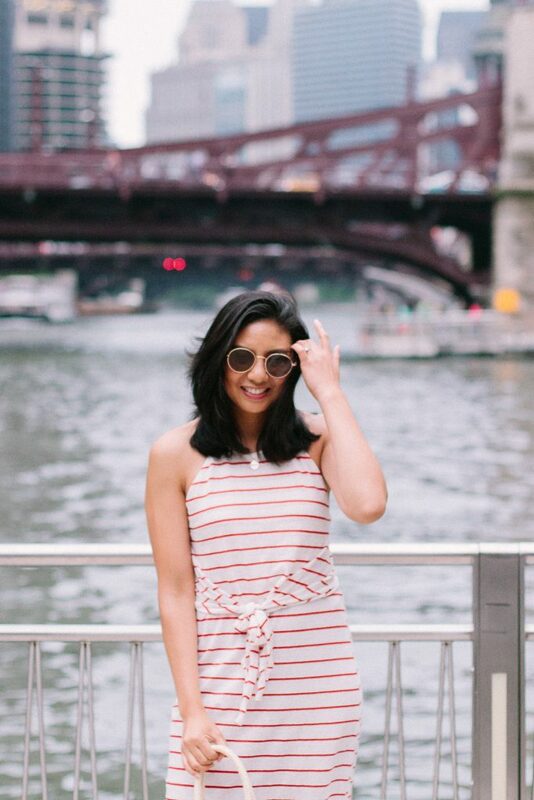 looking super cute in stripes! darling look! Right? They have done an amazing job! And that is exciting!! Such a beautiful spot, and you look super cute ! Thank you Nina! You too! The world really does come alive in the summer! That is such a gorgeous spot, and your striped dress is really adorable! Right?! And everyone is happy! Thanks Lydia! Such a lovely place to walk! I have been looking all over for a purse like yours too! I love this straw bag! Brought with me to Spain & Portugal. It is so roomy and a fraction of a cost! I am dying to visit Chicago!! It looks so gorgeous. This outfit is so perfect for walking around the city. So cute! Chicago sounds like a great place to visit! I really like your straw purse! I maybe biased but I think it is the best city! It’s a shame that the sandals were not comfortable to wear and walk in for a long time, as they do look so cute with your outfit! That’s the perfect dress for summer too. I know I was pretty bum about it too. Oh no, hope you get well soon! All these shots are gorgeous! Thank you so much for sharing! Very cool outfit with this beautiful summer striped dress! This is such a great dress & looks like the perfect spot! It is my favorite spot!